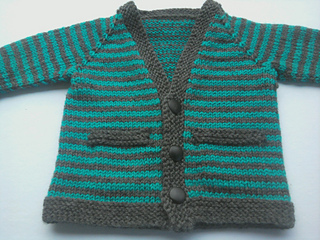 This easy, beginner-friendly raglan cardigan pattern is worked top-down, all in one piece, so you can easily adjust the sleeve and hem length if desired for a growing child (or even add length later). 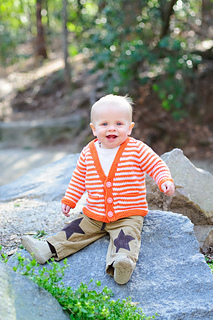 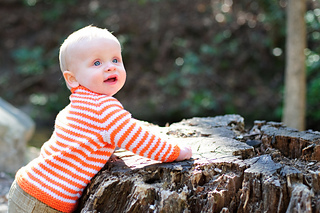 Sample shown in size 12 months featuring long sleeves; instructions are provided for short sleeves as well. 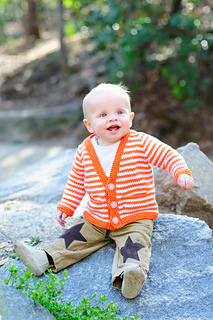 Work the sweater striped as shown, or try a variegated yarn instead. 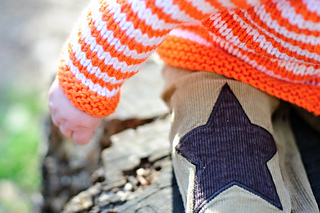 Just right for both little boys and girls who might find treasures to hide in little pockets. 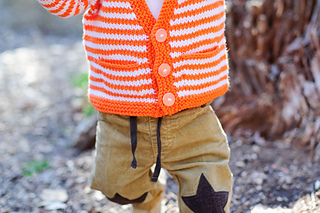 Hunt down the perfect set of buttons to personalize the knit for your munchkin.